The 1199 Professional & Technical Department held a union-wide meeting for Certified Substance Abuse Counselors (CASAC) on April 24 at 1199’s Manhattan headquarters. The Union represents CASACs at scores of hospitals, rehabilitation centers and community based health organizations throughout New York. The meeting’s agenda included a discussion on continuing education, compensation issues, a report on new professional regulations, the impact of the impending Janus decision and upcoming negotiations with League of Voluntary Hospitals and Nursing Homes. CASACs are facing mounting caseloads complicated by increasing documentation requirements, broadening scopes of practice, higher productivity demands and an increasingly complex and crossaddicted client population. Short staffing, as for many professions, is a constant struggle for CASACs. At the meeting, counselors described burnout related to caseloads and management demand. There was a lively conversation about a campaign on rising caseloads and what the challenges would be, especially with revenues directly linked to increasing patient numbers. Some spoke of using labormanagement committees in their institutions as a strategy to address this problem. Many signed up for the 1199 CASAC Committee to flesh out implementation strategies and wider Union involvement. 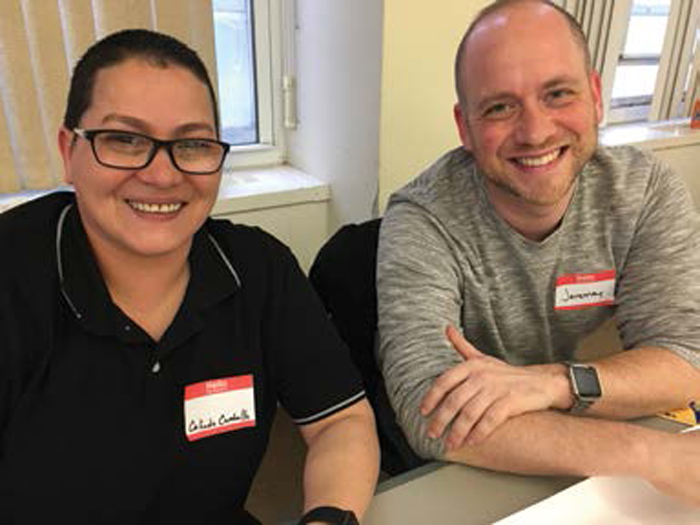 The meeting brought 17 members from various institutions on to the Union-Wide CASAC Working Committee, which will be assisted by 1199SEIU’s Professional and Technical Department.